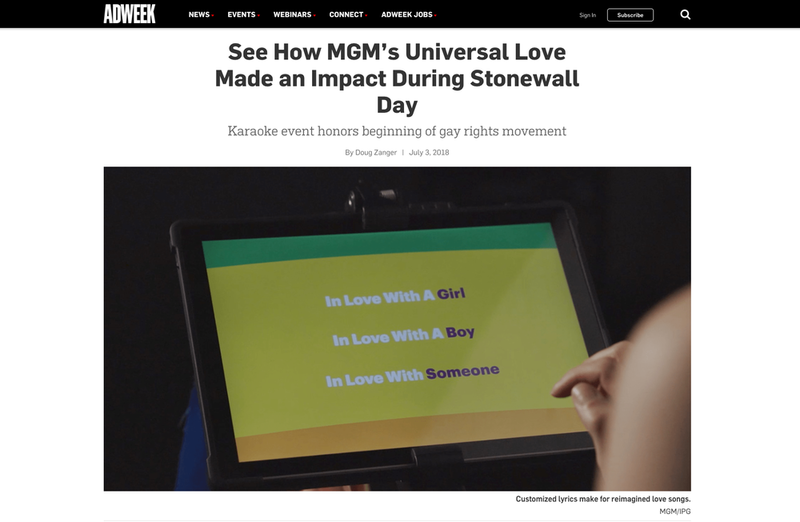 MGM Resorts wanted to leverage the success of their Universal Love album to celebrate Pride month. On the anniversary of the Stonewall Uprising, we hosted a Universal Love karaoke night, creating a digital interface that would allow guests at the Stonewall Inn to customize lyrics depending on their sexual preference. Love is universal. Karaoke love songs should be too.